On April 26 1986, Reactor No 4 of the Chernobyl Nuclear Power Plant in Ukraine exploded, releasing tons of extremely harmful radioactive chemicals into the air. The explosion contaminated dozens of European countries, and elevated radiation levels were also recorded as far away as Canada and the United States. The town closest to the explosion was Pripyat, situated just a few kilometers away. The residents were forced to evacuate (a little too late) and over the years it has been suggested that thousands of deaths were caused as a result of the explosion. Many more have been left with illnesses brought on by the radioactive chemicals. The long-term 30-kilometer exclusion zone is still in place today, and Reactor No 4 can only be accessed as part of a short-term organized tour. Most tours include knowledgeable guides and a visit to the ‘ghost town’ of Pripyat, with its abandoned buildings and eerily decaying amusement park. Organized one- and two-day trips to the Chernobyl Nuclear Power Plant and nearby Pripyat can be arranged from Kiev. Explore the abandoned city of Pripyat on this 1-day Chernobyl tour from Kiev. Pass Dytyatky Checkpoint and head into Chernobyl’s Exclusion Zone with a guide. Following an introductory briefing, head past Leliv Checkpoint and into Chernobyl town. Take in landmarks including the power plant, Kopachi Village and its abandoned kindergarten and Reactor #4. Head down Lenin Street to Pripyat’s now silent square and see collapsed schools, run-down hospitals and derelict cinemas. After lunch, visit the secret Duga military radar station. Then, pass through compulsory radiation control before returning to Kiev. Explore the Chernobyl exclusion zone and gain insight into Soviet-era history on this 1-day tour to Chernobyl and Pripyat from Kiev. Head past the Dytyatky Checkpoint and into the infamous Chernobyl exclusion zone with a guide. During your tour, take in landmarks and key sites such as the abandoned hospital, river port and town hall. See defunct nuclear cooling towers and the secret Duga military radar station. Visit the abandoned villages of Kopachi and Zalissya, and gain insight into life before the nuclear catastrophe took place. 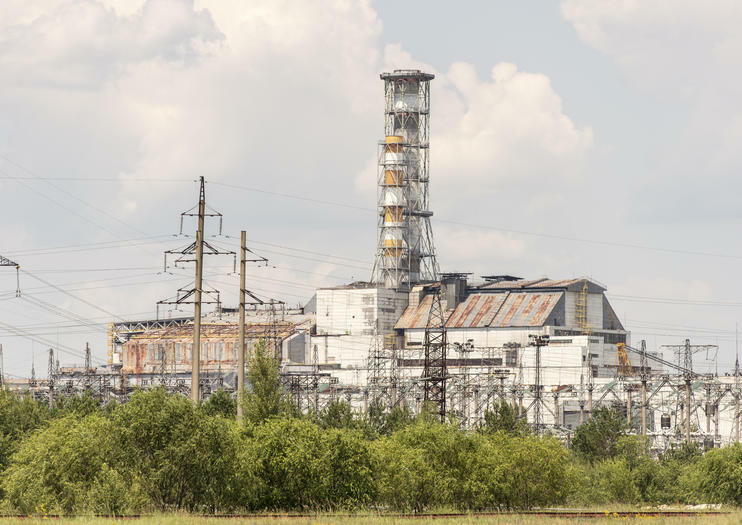 Explore Chernobyl’s Exclusion Zone and gain insight into the disastrous nuclear accident of 1986 on this private full-day Chernobyl and Pripyat tour from Kiev. Stroll through the silent streets of abandoned Zalissja to the Red Forest — one of the areas hit hardest by the radiation — with a private guide. Discover forgotten features such as schools and hospitals in the once-busy town of Pripyat, visit the secret Duga military radar station and see abandoned vehicles which played an important role in the immediate aftermath of the nuclear explosion. Explore the deserted streets and hidden secrets of Chernobyl and Pripyat on this full-day tour from Kiev. Follow your guide into the Chernobyl Exclusion Zone and visit the abandoned village of Zalecie. Discover sites of interest including the Cold War-period radar system and the empty shell of the Chernobyl power plant’s fourth reactor, and gain insight into life here under Soviet rule. Afterward, stroll along the long-abandoned streets of Pripyat—where nature is taking over the derelict homes and playgrounds.